being little • bristol uk fashion & lifestyle blog. : blue daisies. I feel like I've been saying the phrase "this is one of my favourite summer dresses" a lot lately, but, well.. I have a LOT of favourite summer dresses. 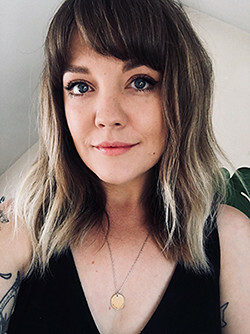 I feel more like myself when it's warm enough to slip on some sandals and a cute dress and not get chilly, and it was certainly like that over the weekend! This dress that I snapped up in the Dahlia sale last year makes me feel very summery and pretty, and it only seemed right to team it with lots of flowers. 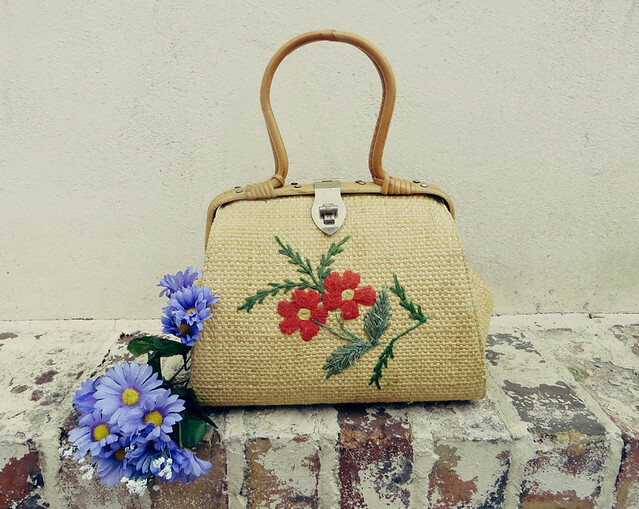 I absolutely love this vintage bag that I picked up in my favourite market (Totnes) a few years ago, but I hardly ever use it as I don't want to ruin it! Always the way.. I love checked dresses, this is so summery and the bag is so cute, I can totally understand you not wanting to use it too much. This is the cutest! 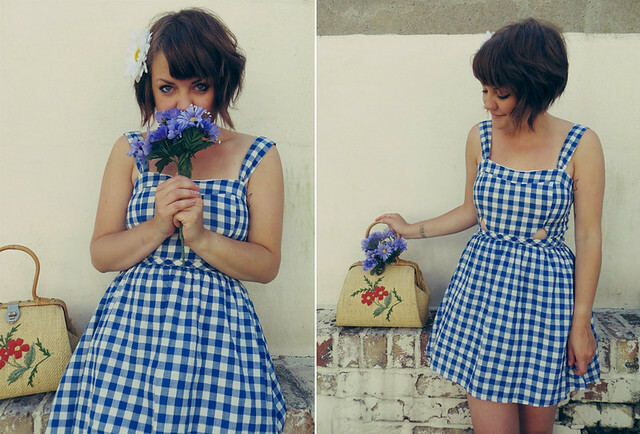 I love gingham and your bag is gorgeous. That summer dress is so cute! and the vintage back is gorgeous . I think out of all the blogs I follow, you post the cutest outfits and photographs! I absolutely love this dress - so pretty and perfect for summer! And that adorable handbag! I'd worried to use too much, as well! So cute! This is such a beautiful dress! I love the colours and you look so adorable with the flowers too. Here's to summer and summer dresses! Love the dress, you're too cute. I looove it!!! You look so cute!! 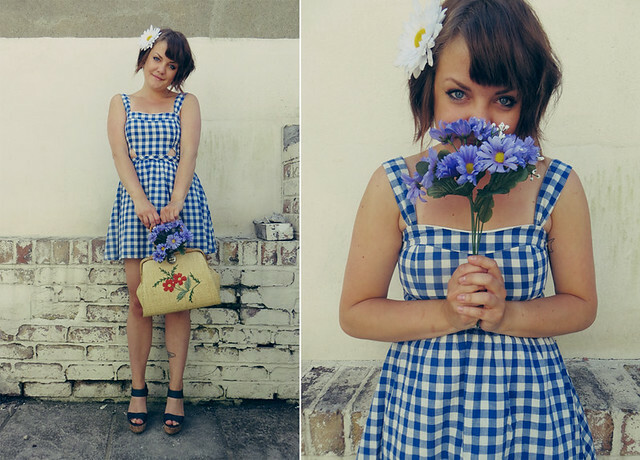 This gingham dress is just so adorable! I love how summery and sweet it is. The cutouts are an awesome detail too.